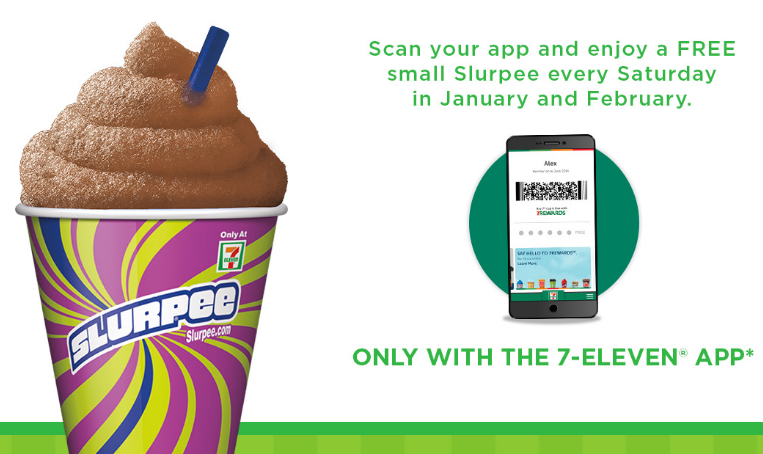 You can get a free small Slurpee at 7-Eleven every Saturday in January and February when you use your 7-Eleven app at checkout. Psst! Don’t forget you can also get a free coffee every Wednesday in January!